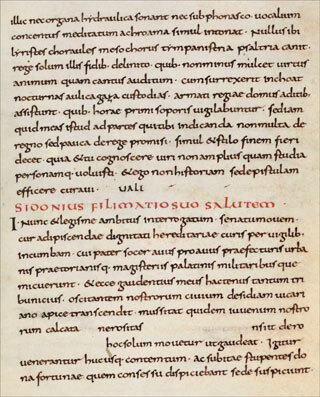 The manuscript was presumably once held at Eberbach Abbey, in whose possession numerous Lorsch codices had entered into. The manuscript belongs together with the fragment Erlangen, UB, Ms. 2112, Nr. 7.